An influx of almost 1 million refugees from Syria into neighboring Lebanon poses a serious threat to the already fragile country, but donor nations may not grasp the potential impact of further destabilization, a U.N. official said on Thursday. “There is not a single country in the world today that is shouldering as much in proportion to its size as Lebanon,” said Ninette Kelley, regional representative for Lebanon for the Office of the United Nations High Commissioner for Refugees. “If this country is not bolstered, then the very real prospect of it collapsing and the conflict of Syria spreading full force to Lebanon becomes much more likely,” she said during a visit to Washington. Last month, top U.N. officials said that as Syria’s grinding conflict enters its fourth bloody year, Syrians are set to replace Afghans as the world’s largest refugee population. 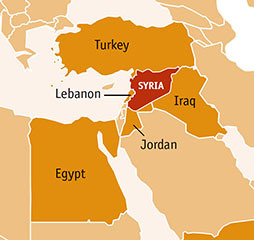 While hundreds of thousands of Syrians have also sought refuge in Jordan, Turkey and elsewhere, the largest concentration of Syrian refugees, close to 1 million people, can now be found in Lebanon, increasing the population of the tiny country by about a quarter, the United Nations said. 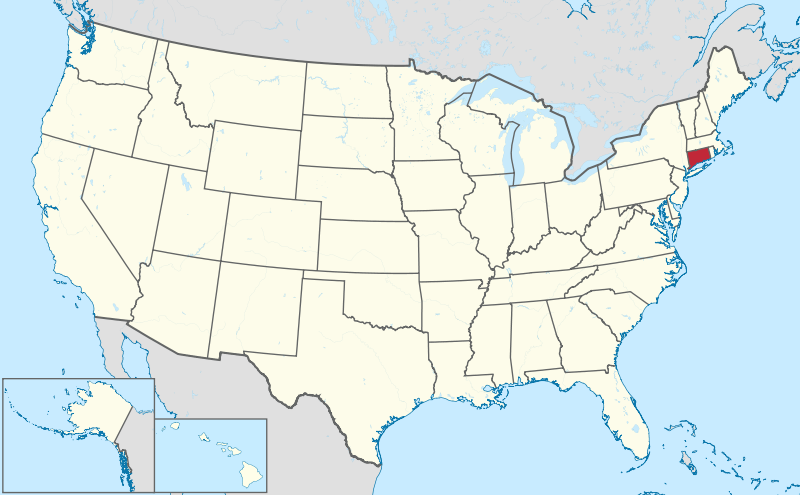 Lebanon is smaller than the state of Connecticut. Lebanon is about the size of Connecticut. The massive influx threatens to upset Lebanon’s fragile demographic balance between Shi’tes, Sunnis, Druze and Christians, and comes as the country, which fought its only bloody civil war from 1975-1990, struggles to contain mounting violence seen as linked to the conflict next door. Earlier this week, Lebanon’s foreign minister said that the crisis was “threatening the existence of Lebanon.” This month, the Lebanese parliament gave a newly formed cabinet a vote of confidence, ending almost a year of political deadlock. The challenge of educating refugee children provides one stark example. Kelley said that 400,000 Syrian refugee children in Lebanon require schooling, now outnumbering Lebanon’s own 300,000 children in public schools. The United Nations has estimated that $1.7 billion is needed for this year to help the United Nations, aid organizations, the Lebanese government and others to support refugees from Syria in Lebanon, and to mitigate the impact of the refugee crisis there. So far, pledges have been made for 14 percent of that amount, the U.N. said. Guinea faces an Ebola epidemic on an unprecedented scale as it battles to contain confirmed cases now scattered across several locations that are far apart, the medical charity Médecins sans Frontières [Doctors Without Borders] said. Because Ebola is highly contagious, Doctors Without Borders staff treating patients suffering from the disease must wear protective equipment to prevent transmission. The warning from an organization used to tackling Ebola in central Africa came after Guinea’s president appealed for calm as the number of deaths linked to an outbreak on the border with Liberia and Sierra Leone passed 80. The outbreak of one of the world’s most lethal infectious diseases has alarmed a number of governments with weak health systems, prompting Senegal to close its border with Guinea and other neighbours to restrict travel and cross-border exchanges. Figures released overnight [March 31st] by Guinea’s health ministry showed that there had been 78 deaths from 122 cases of suspected Ebola since January, up from 70. Of these, there were 22 laboratory-confirmed cases of Ebola, the ministry said. The organization said on Monday it had been involved in dealing with nearly all other recent Ebola outbreaks, mostly in remote parts of central African nations, but Guinea is fighting to contain the disease in numerous locations, some of which are hundreds of miles apart. “This geographical spread is worrisome because it will greatly complicate the tasks of the organisations working to control the epidemic,” Lugli added. The outbreak of Ebola – a virus which has a fatality rate of up to 90% – has centred on Guinea’s south-east. But it took authorities six weeks to identify the disease, allowing it to spread over borders and to more populated areas. Cases were confirmed in Conakry last week, bringing the disease – previously limited to remote, lightly populated areas – to a sprawling Atlantic Ocean port of two million people. Guinea’s president, Alpha Condé, appealed for calm late on Sunday. “My government and I are very worried about this epidemic,” he said, ordering Guineans to take strict precautions to avoid the further spread of the disease. “I also call on people not to give in to panic or believe the rumours that are fuelling people’s fears,” he added. Liberia has recorded seven suspected and confirmed cases, including four deaths, the World Health Organisation said. Sierra Leone has reported five suspected cases, none of which have been confirmed yet. Brima Kargbo, Sierra Leone’s chief medical officer, said a screening process had been introduced on the country’s northern border with Guinea. Travellers are being asked where they are coming from and whether they or anyone they had been in contact with had fallen ill, he said. Senegal, another neighbor of Guinea, closed its land border over the weekend and has suspended weekly markets near the border to prevent the spread of the disease. The regional airline Gambia Bird delayed the launch of services to Conakry, due to start on Sunday, because of the outbreak. If the deaths are all confirmed as Ebola, a disease that leads to vomiting, diarrhoea and external bleeding, it would be the most deadly epidemic since 187 people died in Luebo, in Congo’s Kasai-Occidental province, in 2007. United Nations judges have ordered Japan to end whale hunts in the Antarctic after dismissing Japanese arguments that the hunting was carried out for scientific research purposes. The International Court of Justice‘s ruling is binding on Japan and cannot be appealed following a case bought by Australia in 2010. “Japan shall revoke any existent authorization, permit or licence granted and refrain from granting any further permits in pursuance to the program,” Judge Peter Tomka said. “The evidence does not establish that the program’s design and implementation are reasonable in relation to its stated objectives,” the court said. Norway and Iceland have continued commercial whaling programs in defiance of a 1986 International Whaling Commission (IWC) moratorium. In contrast, Japan has always claimed that its whaling is scientific but has admitted that the meat from slaughtered whales ends up on Japanese dinner plates. The UN court ruled that “funding considerations, rather than strictly scientific criteria, played a role” in the granting of Japanese whaling permits. But Japanese officials have signalled that Tokyo will accept the verdict of the UN court, set up after the Second World War to rule in disputes between countries. c) What will happen in Lebanon if it doesn’t get the help it needs from other countries in dealing with the Syrian refugees? d) What effect will the destabilization of Lebanon have on the surrounding region, according to Ninette Kelley of the UN Refugee Agency? b) Read about Ebola under “Background” and watch the video under “Resources” below the questions. What two words would you use to describe doctors working in Guinea for Doctors Without Borders? b) What is the International Court of Justice? c) What is the International Whaling Commission moratorium? d) Which countries have ignored the IWC moratorium? The Office of the United Nations High Commissioner for Refugees (UNHCR), also known as the UN Refugee Agency, is a United Nations agency mandated to protect and support refugees at the request of a government or the UN itself and assists in their voluntary repatriation, local integration or resettlement to a third country. Its headquarters are in Geneva, Switzerland and is a member of the United Nations Development Group. The tropical virus leads to haemorrhagic fever, causing muscle pain, weakness, vomiting, diarrhoea and, in severe cases, organ failure and unstoppable bleeding. No treatment or vaccine is available, and the Zaire strain detected in Guinea — first observed 38 years ago in what is today called the Democratic Republic of Congo — has a 90 percent death rate. Sakoba Keita, who heads the Guinean health ministry’s prevention division, said it remains unclear how Ebola had arrived in Guinea. Guinea is one of the world’s poorest nations despite vast untapped mineral wealth, with a stagnating economy, youth unemployment at 60 percent and a rank of 178th out of 187 countries on the UN’s Human Development Index. The World Health Organization said Liberia had reported eight suspected cases of Ebola fever, including six deaths, while Sierra Leone had reported six suspected cases, five of them fatal. 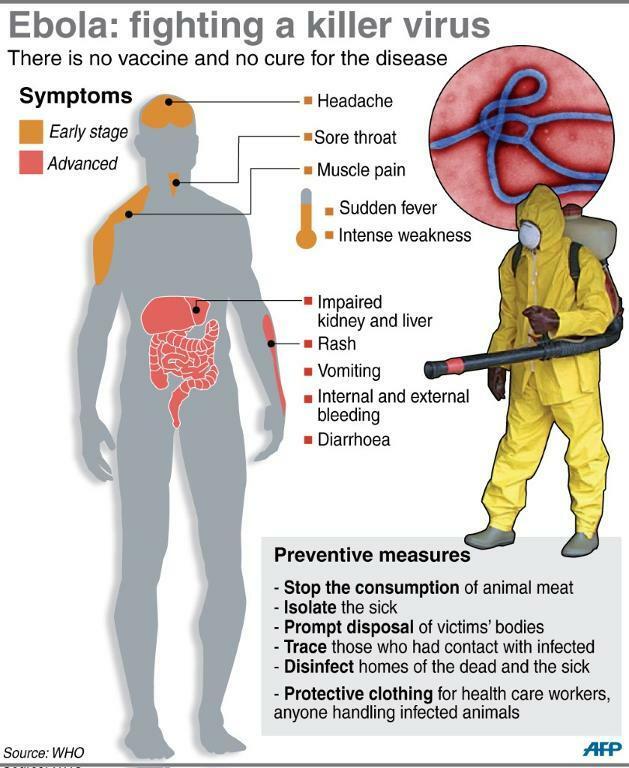 Ebola can be transmitted to humans from wild animals, and between humans through direct contact with another’s blood, faeces or sweat, as well as sexual contact or the unprotected handling of contaminated corpses. Medecins Sans Frontieres (Doctors Without Borders) said the spread of the disease was being exacerbated by people travelling to funerals in which mourners touch the bodies of the dead. The Court’s role is to settle, in accordance with international law, legal disputes submitted to it by member countries and to provide advisory opinions on legal questions submitted to it by duly authorized international branches, agencies, and the UN General Assembly. In 1982 the IWC adopted a moratorium [delay; suspension] on commercial whaling. Currently, Japan, The Russian Federation and a number of other nations oppose this moratorium. The IWC allows non-zero whaling quotas for aboriginal subsistence and also member nations may issue ‘Scientific Permits’ to their citizens. Japan has issued such permits since 1986, Norway and Iceland whale under objection to the moratorium and issue their own quotas. In 1994, the Southern Ocean Whale Sanctuary was created by the IWC. The main duty of the IWC is to keep under review and revise as necessary the measures laid down in the Schedule to the Convention which govern the conduct of whaling throughout the world. 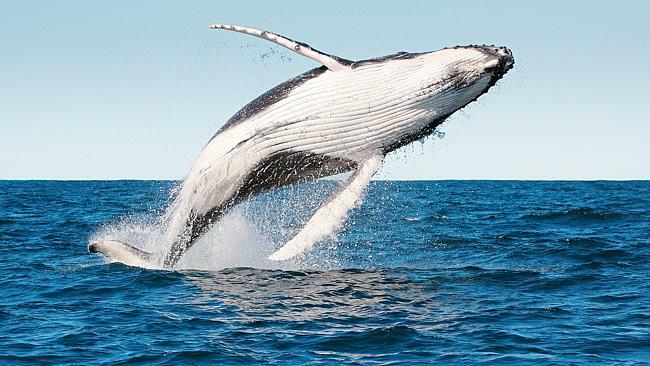 These measures, among other things, provide for the complete protection of certain species; designate specified areas as whale sanctuaries; set limits on the numbers and size of whales which may be taken; prescribe open and closed seasons and areas for whaling; and prohibit the capture of suckling calves and female whales accompanied by calves. The compilation of catch reports and other statistical and biological records is also required.